The Euro RSCG brand was scrapped today after 20 years to be replaced by the name Havas Worldwide. Euro RSCG London, in common with 315 other Euro RSCG agencies across the world, has been rebranded as Havas Worldwide and will now be known as Havas Worldwide London. EHS 4D, the UK-based direct and digital agency owned by Havas, has been renamed Havas EHS. 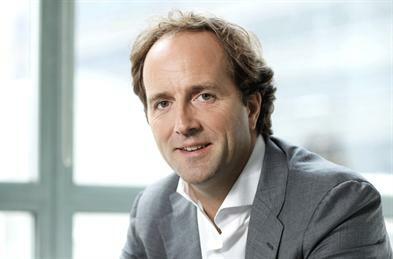 Havas made the move, which was first revealed in April, in a bid to break down the borders between creative and media. The group now consists of two main brands: Havas Media and Havas Creative, which includes Havas Worldwide and the Arnold Worldwide micronetwork of 16 agencies. Euro RSCG agencies across Euro RSCG’s ad network, Euro RSCG Life, Euro RSCG 4D and Euro RSCG Worldwide PR will now take the Havas Worldwide branding. Euro RSCG PR UK will now be known as Havas PR UK. Havas has also created the Havas Digital Group, an umbrella brand operating across creative and media agencies in the digital space. The Havas Media name remains unchanged along with those of agencies that include MPG Media Contacts and Arena Media. David Jones, the chief executive of Havas, said: "I think we’re pioneering through the integration of creative, media and digital. Our industry doesn’t make it easy for clients. They are the ones who have to do the hard job of sifting through big, bureaucratic holding companies to try to get a variety of different companies, cultures and P&Ls to work together."